Caring for a loved one at home can be an overwhelming task. If family members are not careful the physical, emotional and financial responsibilities that come with being a caregiver can take their toll. Even the strongest of individuals needs help now and then. Respite care offers invaluable relief to caregivers by providing a well deserved and much needed break from their daily duties and responsibilities. Just a week or fortnight of relief from the constant care of an elderly relative will make a world of difference. It can alleviate stress, boost a person’s energy level and recharge their battery. 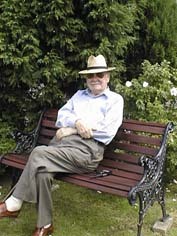 Respite care also benefits those being cared for by offering them an alternative to their routine. Respite care is a win-win experience for everyone. Sometimes taking a break from the usual routine makes a huge difference, both for carers and, for those that are being cared for. Critical to the success of respite care is the knowledge and complete assurance that your relative is in a homely, safe and very comfortable environment, just as you like to provide for your loved one yourself. Respite care also offers families the opportunity to experience and "try out" the care home before making a more permanent move. 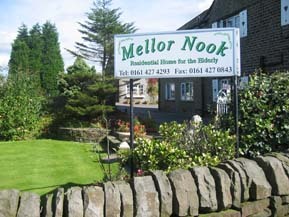 A respite stay at a Mellor Nook will ensure the very highest standards of personalised quality care and comfort – however short, or long. It is the perfect solution for carers who need to spend some time looking after their own personal needs knowing that their loved one is in the best possible hands.